The Alabama Rural Water Association is conducting a Training Class on Lead/Copper Materials Inventory & Corrosion Control on the dates and locations listed above. This training will cover how to conduct a Materials Inventory list for compliance with the Lead and Copper Rule. 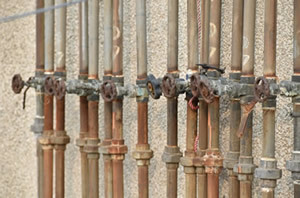 Corrosion Control can be essential to maintaining compliance with the Lead and Copper Rule. We will have instructors on hand to discuss corrosion control optimization, and cost effective measures in main-taining corrosion control. After attending this class, participants should be thoroughly familiar with the methods for selecting sites for Lead and Copper Testing within your distribution system, and different methods for corrosion control. Maintaining a good quality of life for Alabama citizens is an ongoing objective. Water is a critical resource in this process and the availability of a good safe dependable source of drinking water is a necessity. 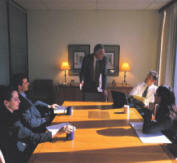 The training is FREE OF CHARGE and offers an opportunity for each attendee to upgrade their knowledge! Register Online Now using the form below. Save a copy of the PDF registration brochure (link below) to your desktop. Open the saved PDF file (do not try to complete and send in your browser). - Mail - mail it to us. Complete and email or fax this registration to us. The U.S. Environmental Protection Agency . Your SWP number is needed if you are a SWP member and you want us to track your training hours. SWP Membership has many benefits including additional free training. More about SWP Membership. Send: To send your registration, check the "I'm not a robot" box, answer any questions, and select "Review Registration." Note: A Required symbol, (R), identifies the fields which must be completed before you can successfully send this registration to us. If a message pops up, fill in the empty field and click "Review Registration" again. Having trouble with your registration? If you have trouble with your registration, please fill out the PDF brochure and email, fax, or mail it to us instead. Thanks! We are partnered with SunCoast Learning to provide you with quality online training.